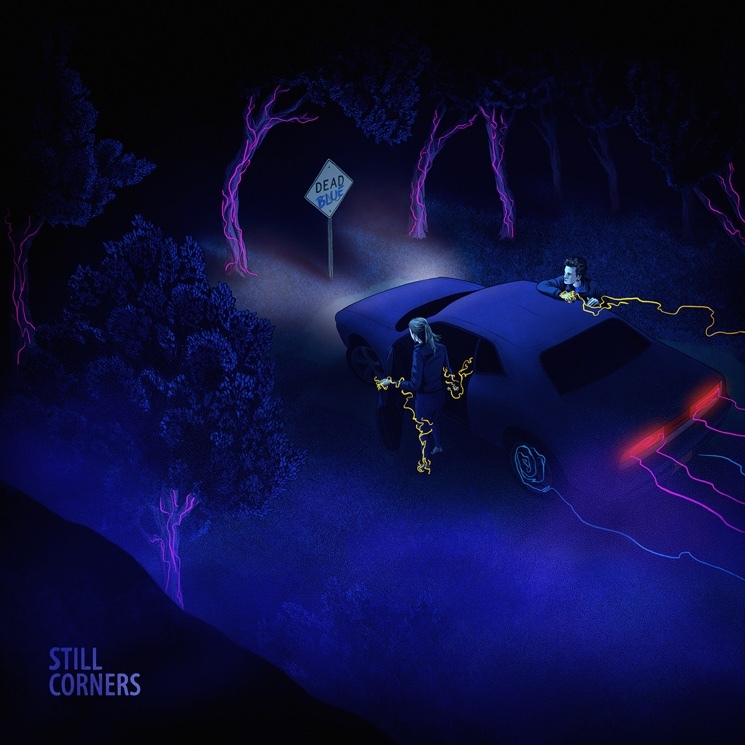 Dream-pop duo Still Corners delivered their sophomore album Strange Pleasures back in 2013, and now they're set to follow it up with a brand new LP titled Dead Blue. It will arrive on September 16 through Wrecking Light Records. The forthcoming record was written by the English seaside, and that locale gets reflected in both the album title and the 11 new songs. In addition to more literal incarnations of the sea and its surrounding natural beauty on tracks like "Currents" and "River's Edge," the change in scenery also reflects a change of heart and mind. After escaping the ever-growing expenses and accelerated pace of living in London, Greg Hughes and Tessa Murray relocated and were able to explore new musical stories about inner darkness and themes of love, loss, death and hope. "This album is an expression of our fears and our desires in an effort to get a handle on our past experiences and the world around us," Hughes said in a statement. "The more you know your own darkness, the more you can control those triggers to prevent all out wild fires in your own life. There's an old Native American tale where an elder tells a boy about the two wolves that live in his heart. One is love and one is fear. They are in a battle. The boy asks, well 'which one wins?' The elder replies, 'the one you feed most.' A big part of winning that battle against fear is knowing what triggers it." The band have offered up a video for "Lost Boys" as an introduction to the new fear-conquering material. According to singer Murray, the track was inspired by reading Catch a Wave: The Rise, Fall and Redemption of Brian Wilson. "I really connected with Brian," she said. "It echoed a lot of my past relationships with guys who were troubled." You can watch the video by scrolling past the tracklisting for Dead Blue and hitting play.